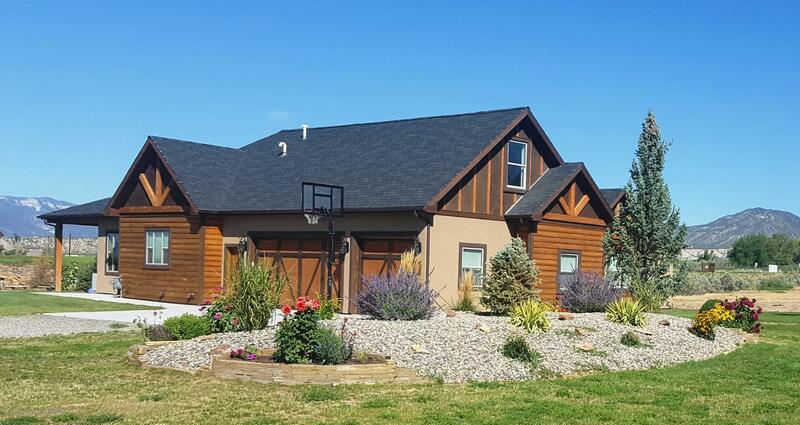 Country living at its finest in Sun Meadow Estates. Beautiful ranch style home with lots of great living area. The large kitchen, with built in island, is perfect for entertaining. The family room could easily be used as a 4th bedroom. Enjoy the evenings on the large covered patio. High end finishes including hard wood flooring and vaulted ceilings. There is plenty of room on the lot to build an additional garage or shop, plus, auxiliary parking for a RV. HOA provides both domestic water and irrigation water.